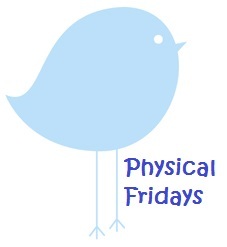 Today’s Physical Friday post is going to be different to what I’ve done so far. I’ve just finished reading The Complete Fibromyalgia Health, Diet Guide & Cookbook by Dr Louise McCrindle and Dr Alison Bested so I thought I’d provide a review for those of you who might be interested in this book. The Complete Fibromyalgia Health, Diet Guide & Cookbook aims to provide the reader with an overview of what Fibromyalgia is, how it affects those suffering it and how a change in diet can help minimise the symptoms through a focus on increasing the micronutrients for managing Fibromyalgia and reducing inflamatory foods. Overall, the book is easy to read and divided into self-explanatory parts so that you can easily absorb the information in smaller portions. The authors advocate an approach to managing Fibromyalgia that takes into account both Western and Eastern medicines and philosophies. There is a strong focus on managing Fibromyalgia through diet, with half the book focused on this aspect, however they acknowledge the need to use other techniques as well. The overall approach recommended by the authors is the ‘SEEDS of Health Program’, that looks at Sleep, Energy, Exercise, Environment, Diet, and Support as the key factors that influence Fibromyalgia symptoms. A lot of the information covered by the book I found to be a repeat of what I had already learnt through my online research and discussions with my doctors, however I did find it useful to confirm my approach. I would not recommend attempting to read this book in large blocks, especially if you are suffering from Fibromyalgia. Although, as I’ve already stated, the information is laid out in an easy to follow and understand way, I did find that I became overwhelmed a few times and had to put the book down for a few days before reattempting to read a few of the chapters. Especially when it came to the diet section and the tables of foods to avoid (the inflamatory foods) and the anti-inflamatory foods which should be increased in your diet. I like the way the book provides a four week menu plan with associated shopping lists and recipes, but again I found the long lists to be a little overwhelming all at one time. The authors do acknowledge this and recommend starting with modifying one meal for a week (for example breakfast) while continuing your normal diet and then slowly increasing until all your meals follow the diet. Although I personally wouldn’t follow the menu plan precisely, I will most likely incorporate some of the recipes and the ideas behind this diet into my own. This book is great for someone who is newly diagnosed and wants to have a better understanding of what is going on and what they can try in terms of management. Just remember to break your reading sessions into short blocks as, although easy to digest, the amount of information can be overwhelming for someone suffering from brain fog and fatigue. Did you like this review? What details would you like in future book reviews?